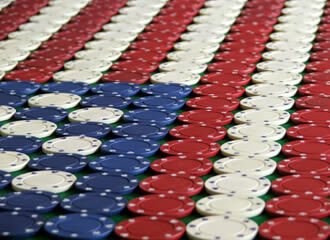 Playing poker is as American as eating a homemade apple pie and playing online is no different. After Chris Moneymaker was able to win the WSOP Main Event via a satellite on PokerStars the US poker boom was born. Playing online poker was the new “it” game as you could turn on the TV and see poker show after poker show. Party Poker, Full Tilt Poker, PokerStars, UltimateBet Poker & Absolute Poker were all well known brands that almost any american would know due to their exposure on TV. Kids in college no longer dreamed about a lucrative 9 to 5 job but instead they wanted to be just like big name pros such as Phil Ivey & Johnny Chan who were no longer just poker pros but true celebrities. Then out of no where Black Friday hit and in the blink of an eye all real money online poker ceased to allow USA players and several well known brands such as UltimateBet & Absolute Poker all went belly-up. Since those dark days we have seen 3 states decide to regulate online poker with Nevada, Delaware & New Jersey all making online poker legal. 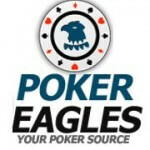 As of today the only legal online site allowing play to players from the USA is Ultimate Poker which only allows players from the State of Nevada. New Jersey is set to launch real money online play at some point in November of this year with the hope of at-least 3 licenses operators going live all at once. There are still a ton of other sites which claim to be a legal USA poker site which all allow real money online play to players located in the USA. These sites are all licenses and regulated but the licensing and regulations are not from the USA but from other jurisdictions such as Costa Rica & other South American countries. Some of the more well known sites that are still catering to the US market are : Carbon Poker, Lock Poker, Juicy Stakes, Americans Cardroom & True Poker.